Offering the best in Chiropractic, Injury and Spinal Pain Treatment Services to residents throughout the Hendersonville, NC area! Dr. Richard Humiston is a chiropractor serving Hendersonville and the surrounding area. Our chiropractor and the rest of the welcoming team at Humiston Family Chiropractic are committed to providing chiropractic solutions to address your unique needs; whether you are experiencing back and spine pain, leg pain, neck pain, arm pain, headaches, or even muscular tightness and tension, we have the probable solution. We take our job very seriously. We take pride in caring for our patients with the dignity and respect they deserve. Visit our testimonials page to find out what our patients are saying about our chiropractor. Stay informed about the latest in chiropractic care by receiving FREE articles about health and wellness news, subscribe to our bi-weekly newsletter (*see below to register). Wow! 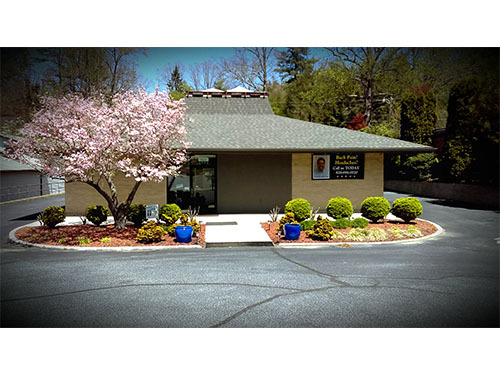 If you are looking for an amazing Chiropractor and office staff look no further... THIS IS IT!!! I found this office by chance and I am so happy- will definitely recommend.